Speyside is a ghost town. 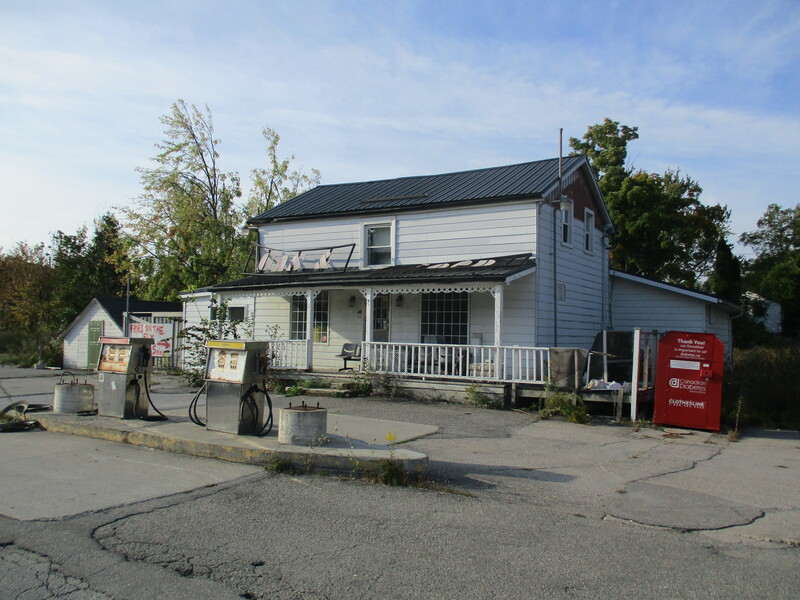 Of the once thriving village only the corner store remains, and the closed building is starting to decay. Many such communities dot rural Ontario but what makes Speyside different is it’s Royal Oak tree. Fall started in a glorious way with sunshine and the early morning temperature of 12 degrees rising quickly. It made for a perfect morning to go and check it out. The school as it stands today with the addition of extra rooms and wire mesh on the windows. The story of the Royal Oak of Speyside actually starts in England in 1651. England was near the end of their civil war and King Charles II was trying to escape with his life after the battle of Worcester. He later reported that he had hid in an English Oak tree all day while parliamentarian patrols searched for him. This tree became known as the Royal Oak tree and the English Oak got a new nick name. May 29th was celebrated as Royal Oak Day for centuries in England to mark the restoration of the monarchy. In 1937, to celebrate the coronation of King George VI on May 12th, acorns from Windsor Park in England were sent all across the commonwealth. 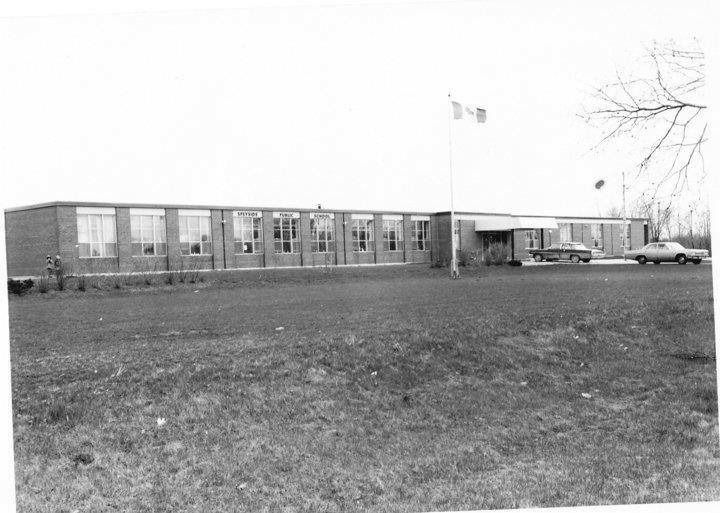 A one room school stood on 22 side road north of Speyside and a 1944 picture of the school is seen in the cover photo. 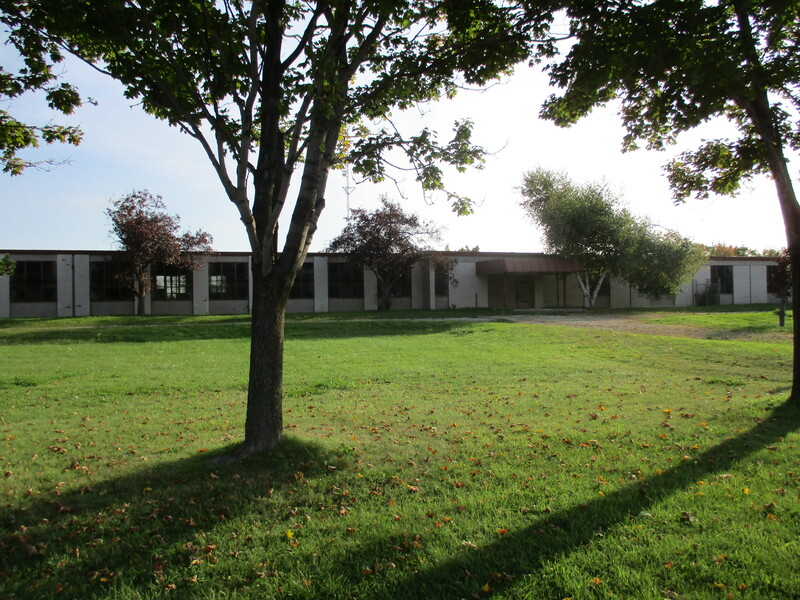 Students at SS #8 Dublin planted their acorn in a special evening ceremony in that year. Marion’s father was among the group of students involved. When the school closed in 1960 they raised the money to have tree surgeons move the 20 foot high oak tree. They planted it beside the gym at the new school where it continues to grow. 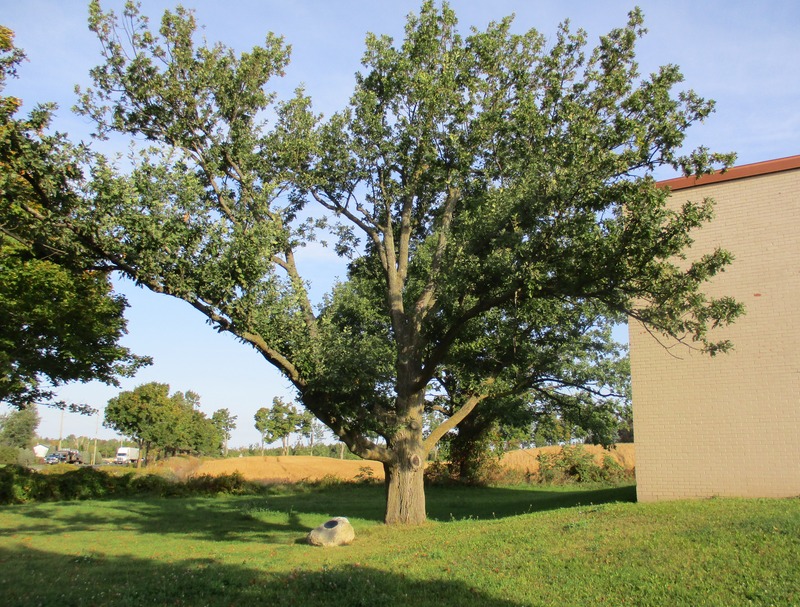 When the school closed in 1986 acorns were brought from England to plant “cousin” oak trees at Brookville, Limehouse, Pineview and Stewarttown where the Speyside students were transferred. The Royal Oak of Speyside received an heritage designation in 2007 for it’s cultural significance. The tree is expected to live for up to 500 years and the owner of this property is required to maintain it during it’s lifetime. 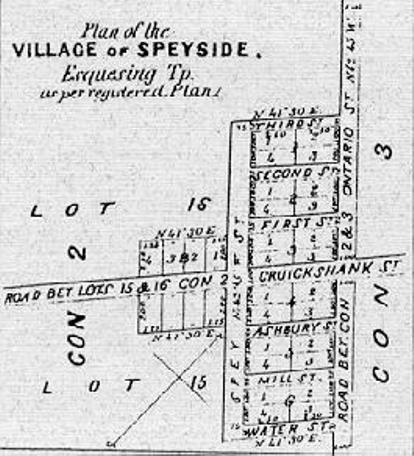 Speyside grew into a considerable community as the street plan in the 1877 Halton County Atlas shows. The village had two hotels, two general stores, a tannery, a large stone quarry and a village hall. The picture below shows the only remaining building from the original Speyside. Newer homes have been added over the years. This structure operated as a store under many names and was even moved back from the road 17 feet in 1942 when the highway was paved. Today it is closed and a few modern homes provide the only hint of the former life of Speyside. Directly across the street from the store stood the original log cabin that served as a post office from 1873 until 1914. The first postmaster is rumored to have been illiterate and relied on the school children from SS #10 to help him sort the mail.The post office closed in 1914 when rural mail delivery made it obsolete. We parked off 15 Sideroad in the Bruce Trail parking lot and went for a walk in the Speyside Resource Management Area. Not far from the parking lot stand the remains of two kilns. These were used by Alexander Livingstone to dry the hops he grew when this was a farm. 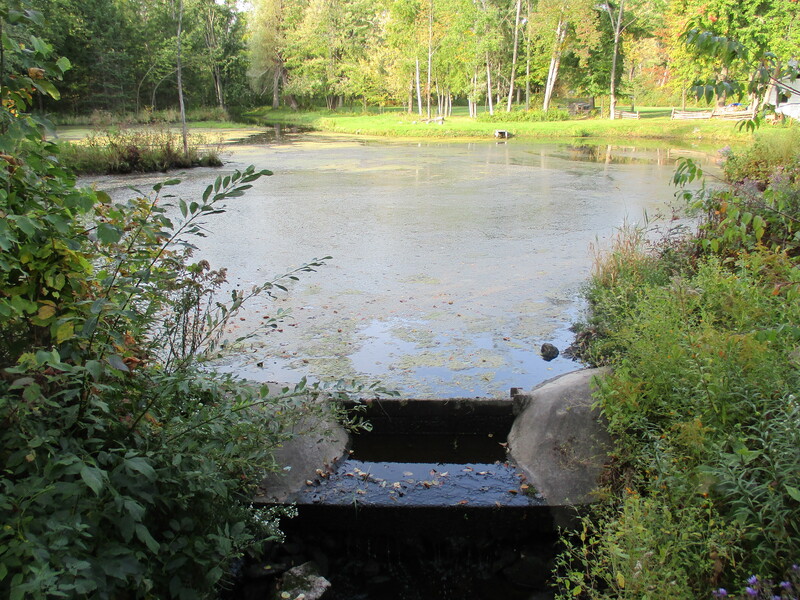 There is a pond along the trail which has a small sluice gate maintaining the water level. It has been created by damming the tributary of the Sixteen Mile Creek that passes through town. 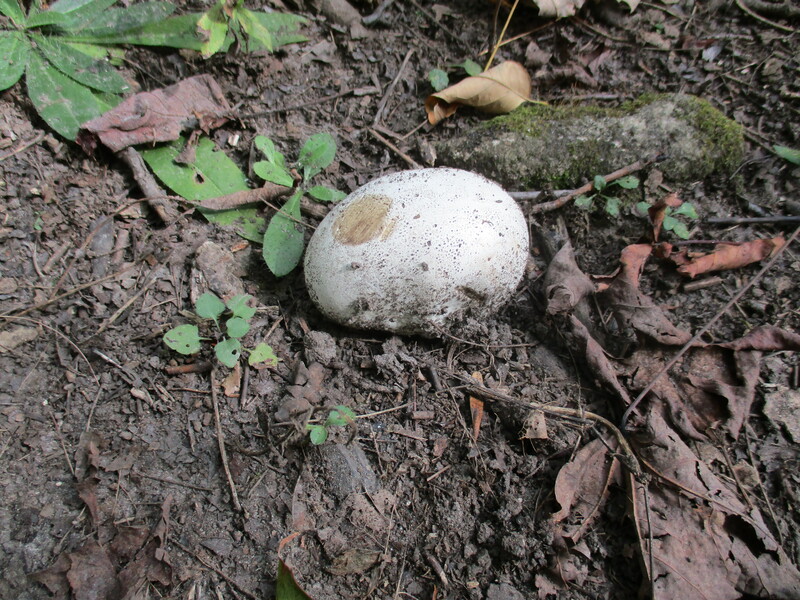 Puff balls are one of several genera of fungi that do not have open caps or external gills to distribute their spores. They form their spores in the centre of the fruit body. When the fruit dries out it turns brown and the skin ruptures releasing a puff of spores from the ball. When harvested around this time of year then sliced thinly and fried in butter and garlic they become quite tasty. This one was too small to be bothered with but they can get to be nearly the size of a soccer ball. 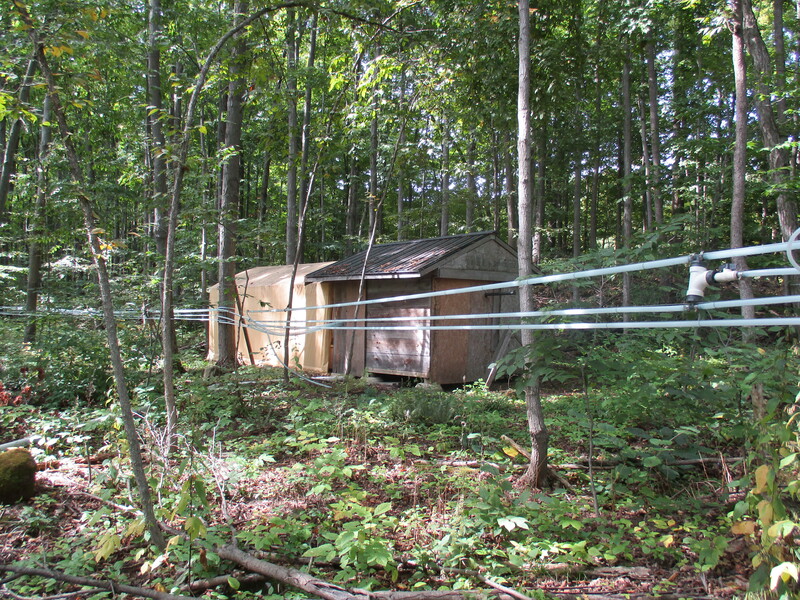 Along the side of the trail a series of hoses run between trees and end in this shed where maple sap is collected and boiled down to make maple syrup. 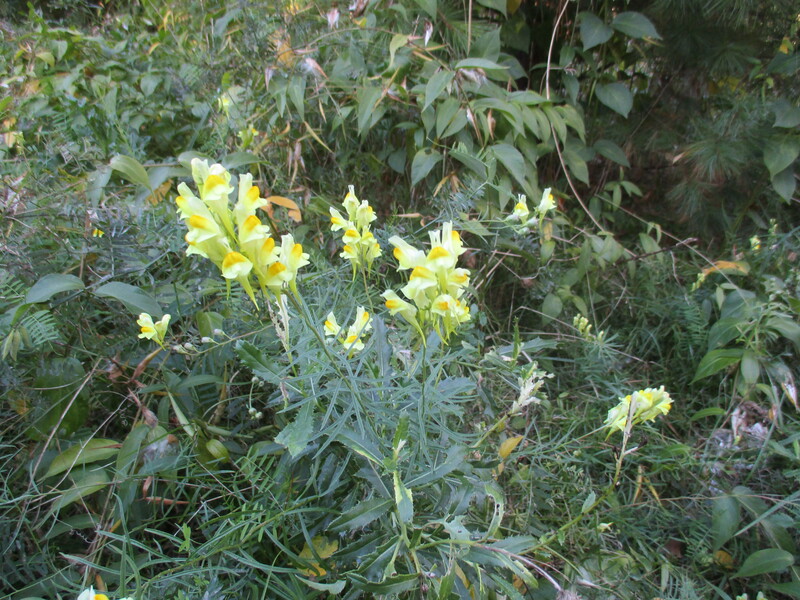 Butter and Eggs flowers, also known as yellow toadflax, are related to the snapdragon. The flowers are often added to arrangements because they last for a long time after cutting. This plant has been used for an herbal remedy in teas for both diuretic and laxative effects. This little flower has the power to make you go. 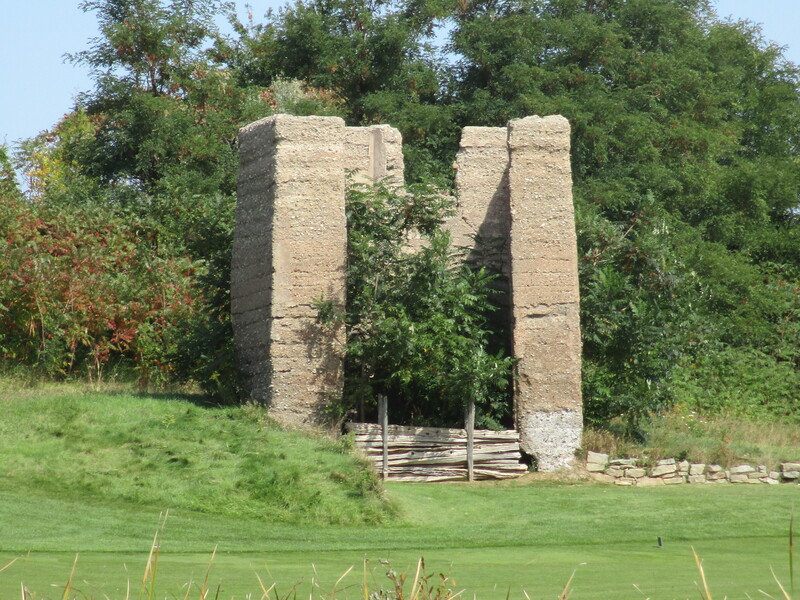 The Glencairn Golf Club is just south of Speyside near the old school. The concrete remains of a kiln can be seen from the roadside. 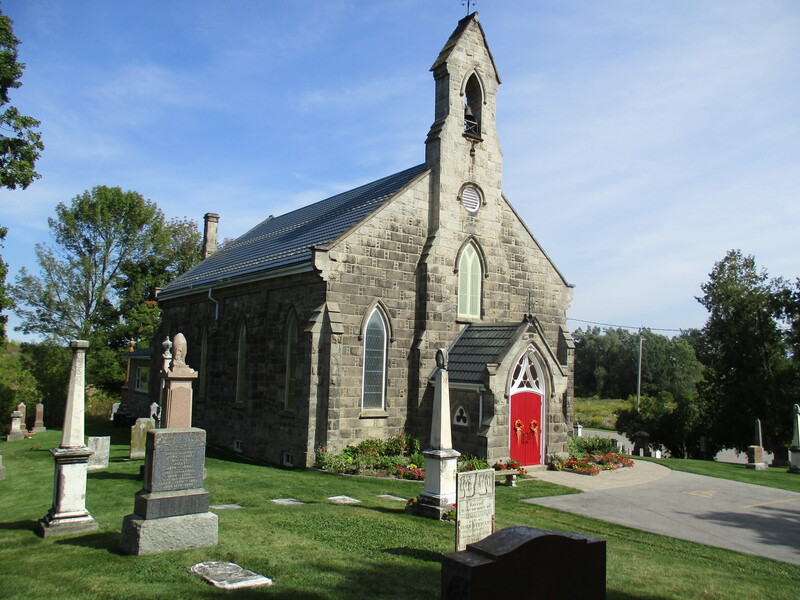 Near the 1873 school was a quarry which came to be known as Scotch Block. Stone from this quarry was used in several local bridges for piers and abutments. In 1868 the Presbyterians used this stone to build their Boston Church on the 3rd line. There are plenty of nice weekend days left this year to get out and enjoy. Fifteen of the top hikes are listed here. 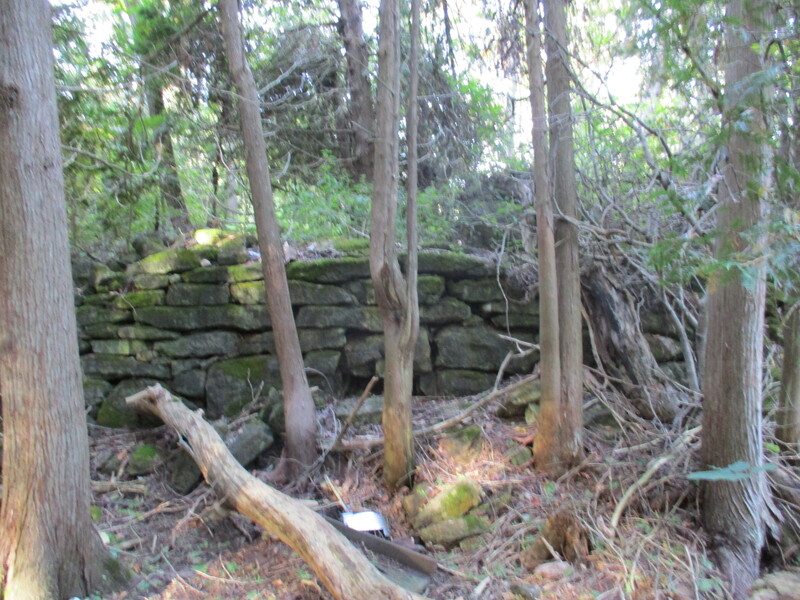 This entry was posted in Sixteen Mile Creek and tagged hop kiln, Maple Syrup, puffball, Royal Oak, Speyside, yellow toadflax on September 28, 2015 by hikingthegta.